I am a big fan of using music in my lessons. Sometimes this is simply some quiet classical music to help create a calm working atmosphere, sometimes though it is great to have subject-related songs playing as students come into the room or to provide some stimulating source material (e.g. by analysing the lyrics). 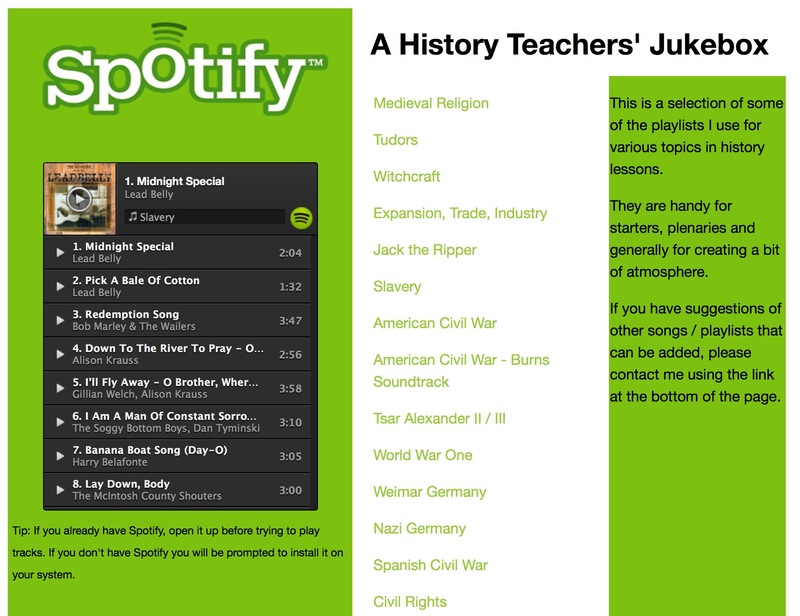 I have plenty of Spotify playlists set up for different topics which you can see here. It’s easy to do this for other topics and subjects too.